Another talented player from Singapore, Warriors’ Gabriel Quak has joined Thai League side Navy FC days before the transfer window closes on 5 Feb 2018. Gabriel has become the fifth Singapore footballer, after Hassan Sunny (Army United), Izwan Mahbud (Nongbua Pitchaya), Zulfahmi Arifin (Chonburi) & Baihakki Khaizan (Muangthong United), to move over to the Thai League. The transfer news of the newly signed Warriors’ winger hit the social media on Thursday, a day before it was officially announced. 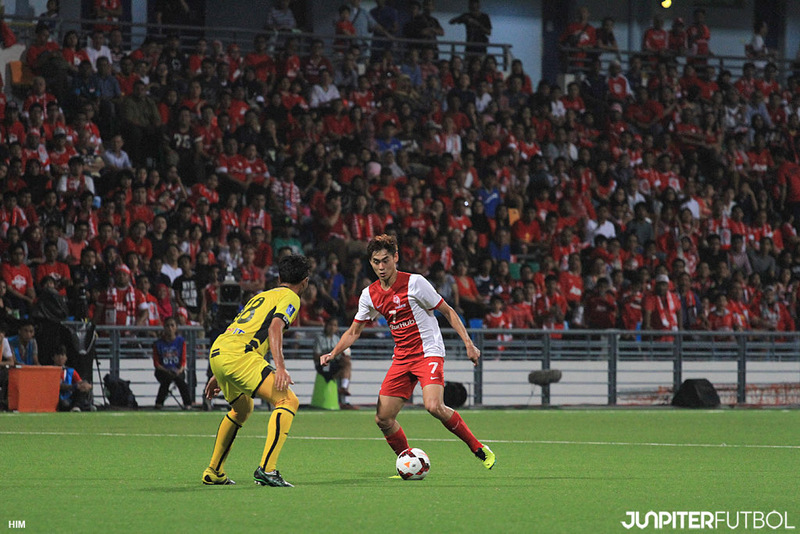 Although domestic football scene are caught by surprise with the last minute signing rumor, many football fans hope that the move for the winger can materialize in the greater interests of Singapore football. So what does the Singapore International have to say about the move and what messages have he got for his fans? “This is a great opportunity. First of all, I would like to thank Warriors for giving me the blessing. Next, I would like to thank all football fans for the support. I thank all of them for sticking with me throughout my career. I believe everything happens for a reason and it makes me a stronger player. And now, I think it’s a good timing and opportunity for me to challenge myself further,” said Gabriel a day after he has signed an one-year deal with Navy FC. “I do not want to think too much of what I will be expecting of myself or the outcome at this point. I would just want to focus and enjoy the process and let everything else flows naturally. I believe it is the same for all type of jobs – you must wake up loving and looking forward to work then you will excel in it. Of course, there will definitely be immense pressure as a foreign player but I am ready and will commit myself to give my very best in this new season with the club,” added Gabriel. Lastly, his message for the new Thai League football fans.